VU CAO DAM | Geringer Art, Ltd. VU CAO DAM (Vietnamese, 1908-2000). 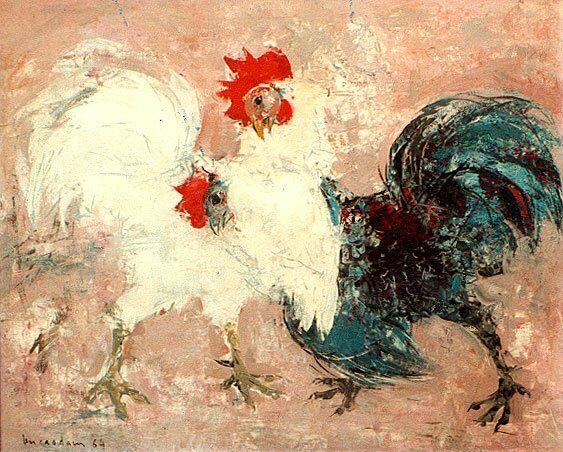 Painter and sculptor Vu Cao Dam was born in Hanoi in 1908. He attended the Ecole des Beaux Arts de Indochine between 1926 and 1931. In 1932 he obtained a scholarship to further his studies as a sculptor in France. Eventually he specialized in painting. His painting during this period was mainly on silk, and showed the influence of ancient Chinese art. In July 1946 Vu Cao Dam executed a bust of Ho Chi Minh at the Fontainebleau Conference held in Paris. After the French re-occupied Vietnam, the portrait bust was hidden at the house of a French farmer who was a member of the French Communist Party. In 1975, after the liberation of South Viet Nam the bust we reclaimed by Vu Cao Cam’s artist daughter, Yannick Vu Jakaber, who had it cast in Spain. In 1949 Vu Cao Dam moved permanently to the south of France and became an acquaintance of Marc Chagall who influenced his painting. His paintings from this period have a lyrical, soft touch and pastel coloring. Vu Cao Dam died, in France in 2000.